Martie lives with husband Jim on an old dairy farm in Chapman, Maine. For twentytwo years the two have worked to save the century-old, post and beam, three-story barn which is central to their 200-acre farm— The Barking Barn Farm. Though not farmers by any stretch of the imagination, they keep a flock of chickens, geese, ducks, and a single turkey. Several animal shelter rescue-rabbits enjoy large cages within the “chicken room.” Two mules, an appaloosa horse, and two mini horses round out the barn population. In the past, goats, pigs, and sheep graced the hallowed halls of the barn. Neighbor kids kept an assortment of horses, ponies, and cows as well. Always looking for a good use of the farmland, the rich, abandoned acres jumpstarted “Farm for ME” a Catholic Charities venture that now provides thousands of pounds of locally raised, fresh and frozen produce for Aroostook County food pantries. Jim and Martie’s four children have given them the gift of eleven grandchildren and a new great-granddaughter. Never without animals in their lives, three cats and four dogs are presently in residence in their old farmstead. 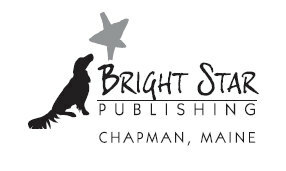 A golden retriever, Bright Star, posed for the logo for this book and future publications. But she’d promised herself that she would be not be just a good teacher. She’d be a great teacher and would leave teaching before she became stale. For that reason, she purposely varied her career through all levels of elementary education, then seventh grade life science, and finally third through fifth grade self-contained special education. She found the last assignment to be the most rewarding of all, but also the most challenging. Managing a classroom that grew from seven handicapped students to sixteen; she wore herself out and was blessed with a wake-up call in the form of a minor heart attack at age fifty-nine. 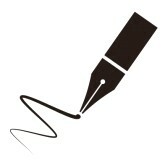 She retired and aimed her sights at writing. 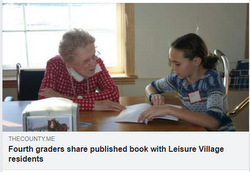 In eight years she completed a not-yet-published biography, From Bombs to Babies, which is what she was doing when she found herself inspired to write this book with the Leisure Village Writers. She earned a BS from Mansfield State College, and an MS in Reading Supervision from University of Scranton, both in Pennsylvania. 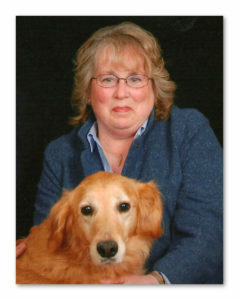 In 1996 she was named Outstanding Middle Level Educator by the Maine Association for Middle Level Education (MAMLE). Martie is well prepared for the new path her career is taking, convinced that history is held in trust in the hearts and minds of community elders. 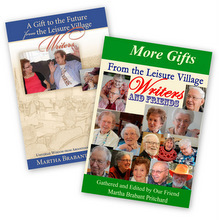 She is actively seeking book presentations, signings, interviews, and lectures or seminars to encourage others to become involved with seniors in their own towns and cities. It only takes a little effort to “open windows,” find hidden treasures, and record them for future generations.